Over the last few years I have been manually triggering my props using hand lamp switches from Home Depot. This I have found has always given me the best timing and options to fire the prop at the right moment or NOT fire the prop if the TOT is too short for safety or just too young to scare. 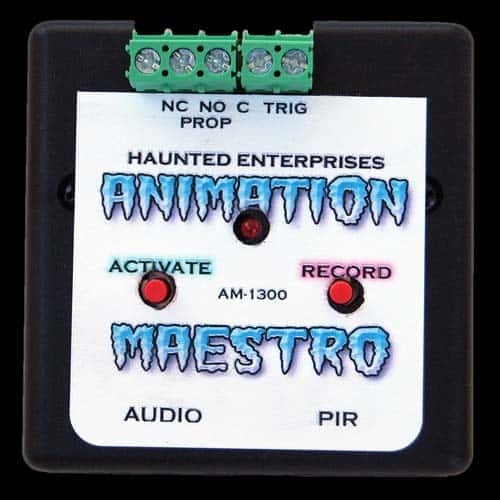 Repeat control timer, Event control timer, Flip-Flop control, Fogger control, Puppet a prop, Light control… Easy to program just like you are acting the part yourself! Can be triggered or run continuous! 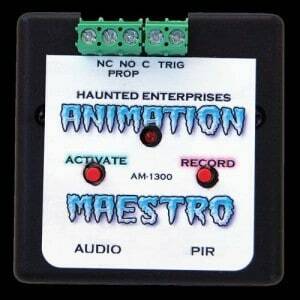 Follows what you record for over two minutes of programming time! Has normally open and normally closed contacts so can turn off light when prop activates! Delay before, Delay after with perfect precision! Flip-Flop lights for a mirror changing illusion! The Prop-1 Controller is a single-board solution that is perfectly suited for many prop and display control applications. 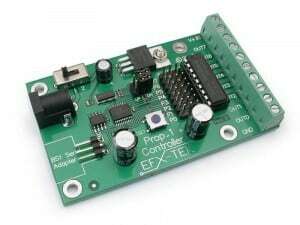 Based on the easily-programmed BASIC Stamp® 1 microcontroller from Parallax, Inc., the Prop-1 offers eight I/O pins, is powered by either 12 or 24 VDC, and may control TTL outputs (5 VDC), hobby servos, 12-24 VDC solenoids, low voltage lamps, and small DC motors. A three-position power switch allows the use of one power supply, or two isolated power supplies (for mixed-voltage projects). Its small size and mounting holes allow the Prop-1 to be concealed in tight spots and small props. To program the Prop-1 you will need a BS1 Serial Adapter and Parallax’s BASIC Stamp Editor (free download from Parallax).